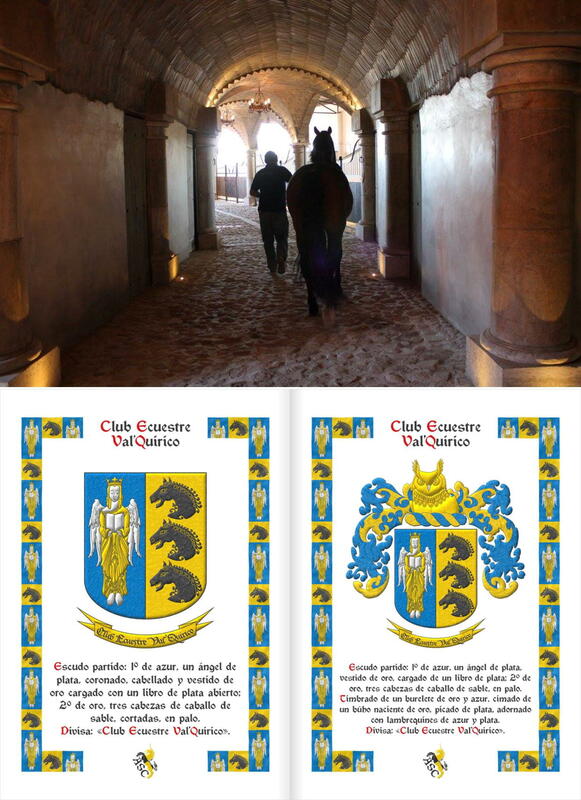 Catalogue: Club Ecuestre Val'Quirico, heraldic document. 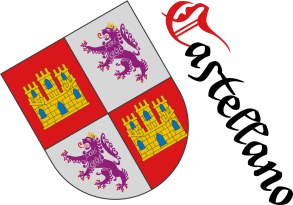 Val'Quirico, the equestrian club's facilities, 3. Open, Azure, Wreath, Owl, Horse, Crined, Head, Charged, Catalogue, Club Ecuestre Val'Quirico, Crown, Crowned, Couped, Created, Crystalline, Outlined in sable, Outlined in the field tincture, Diapered, Motto (identification), In pale, Photographic format, Illuminated, Mantling, Book, Nascent, Or, Party per pale, Beaked, Argent, Rounded, Sable, Socioeconomic, Crest, Three, One, Vested and Angel.